For the first time ever, the members of I.B.M. 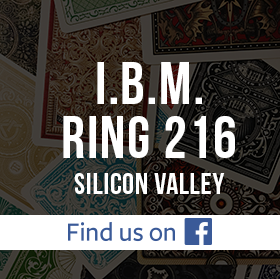 Ring 216 are revealing some of their favorite effects and most prized secrets. 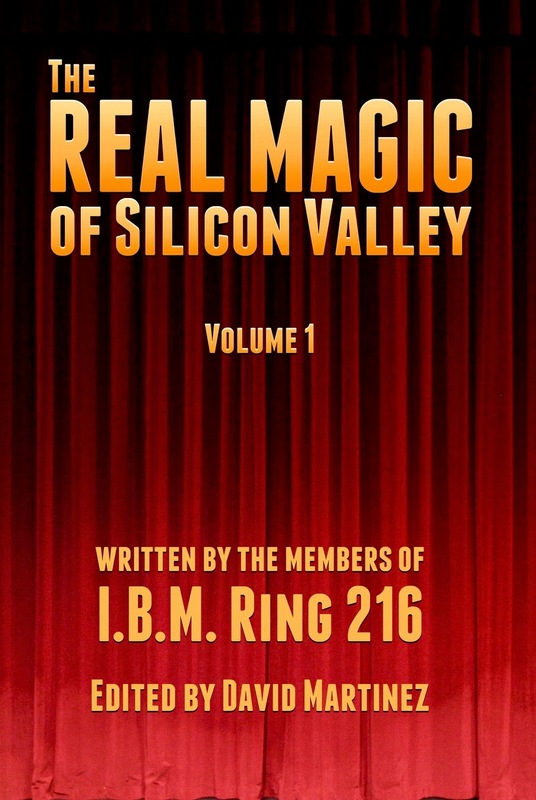 In the pages of The Real Magic of Silicon Valley: Volume 1, you’ll find truly something for just about every type of magician. “A Drop in Inflation” by John Jones: A penny grows and shrinks in the magician’s hand. Learn the complete routine, including the ingenious coin dropper. “Are We Ready to Play?” by Carey Klenetsky: A multiphase card routine that starts with a blank deck and, after several twists, ends with a regular deck. “A Change of Perspective” by Fred Lee: With a shake, one coin changes for another right in front of the spectator’s eyes. “Window of Opportunity” by Fred Lee: A freely selected and signed card appears in an empty window envelope. This is Fred’s handling of the no-palm card to envelope. “New Age Photography” by Alan Leeds: In the spectator’s hands, a picture of a selected card “develops” onto a piece of previously blank photo paper. A real worker. “White Mamba Snake Trick” by Fred Rasmussen: A fun and unique script for the classic “Professor’s Nightmare” trick that audiences of all ages will enjoy. “Topsy-Turvy Letters” by Stan Sieler: Cards are mixed randomly by a spectator, but in the end they unexpectedly spell a magic word. Great for parlor and stage settings. “Sudoku for Simpletons” by Stan Sieler: It’s mentalism using a Sudoku theme. If you’re looking for a whole different kind of book test, this is it. “Cal’s Silver Surprise” by Cal Tong: A powerful yet easy-to-do coin transformation that happens in the spectator’s hands. It’s the perfect lead-in to other coin tricks.